Biogas is exhausted from biological degradation of organic matter without oxygen. This gas is naturally emitted in swamps, landfills, etc. It is artificially produced as well for waste management – waste water, sewage and any organic waste treatment – to produce energy. Biogas production – through plants or digesters – and recycling are encouraged, however biogas remains a factor of global warming. This production, treatment and valorization processes thus require appropriate control and follow-up with biogas monitoring devices. In power plants, treatment and production centers, fixed and/or portable biogas analyzers for worker’s safety are required. Biogas is composed of several gases with different properties. Amongst them is methane (CH4) – primary gas that composes biogas from 50 to 70% - which is a combustible gas particularly used in power plants (gas turbine). Biogas is also composed of hydrogen sulfide (H2S) – a toxic gas – and carbon dioxide (CO2) – which is an asphyxiating gas – and water vapors (H2O) as well. As it is mainly composed of methane, biogas is above all a combustible and flammable gas. Because of the presence of hydrogen sulfide, it is also toxic and corrosive. Anaerobic fermentation also implies bacteria and particles that can cause disturbances to humans. Because of that, biogas presence has to be constantly measured and monitored - usually with a biogas analyzer. Short exposure to high concentrations does not lead to death. Symptoms of this exposure type are breathing tracts and eye irritation. In case of chronic exposure, organ failure can impact the digestive system (abdominal pain) and the brain (chronic tiredness). As it is mainly composed by methane, the biogas is a combustible gas. It is also toxic and corrosive because of the presence of hydrogene sulphide. The anaerobic fermentation fermentation also produce bacteria and suspended particles that can cause disturbances to humans. A brief exposure to high concentrations does not lead to death. The symptoms linked to this kind of exposure are an irritation of the respiratory tracts and eye conjunctivitis). In case of chronic exposure, some organ failures such as the digestive system (abdominal pain) and the brain (chronic fatigue) have been observed. Thus the use of gas detection devices like a biogas analyzer and wearing the proper respiratory protection equipment is essential. Biogas is appropriate for cogeneration, which means a combined production of heat and electricity. As their properties can vary, gas turbines will need to adapt to biogas composition. 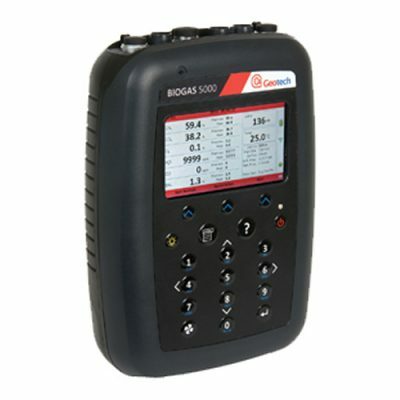 A biogas analyzer (fixed or portable) measures and controls this gas quality for optimal performance. Because of the different gases included in the composition of biogas, the most commonly used personal protective equipment (PPE) is a 4 gas detector (CH4, O2, CO &amp; H2S). Nevertheless, using a multi-gas detector with CH4, O2, CO, CO2 and H2S sensors is more relevant. 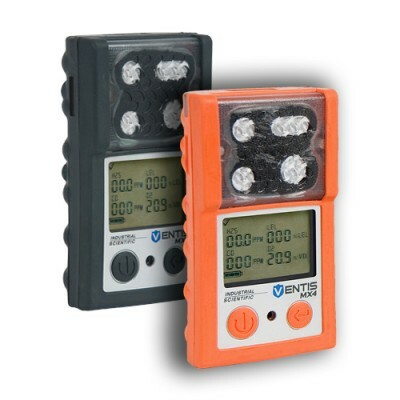 In addition to portable gas detectors, area gas monitors will ensure monitoring on the full production zone. Our full range of biogas analyzers dedicated to methane, carbon dioxide and hydrogen sulfide concentration levels monitoring. 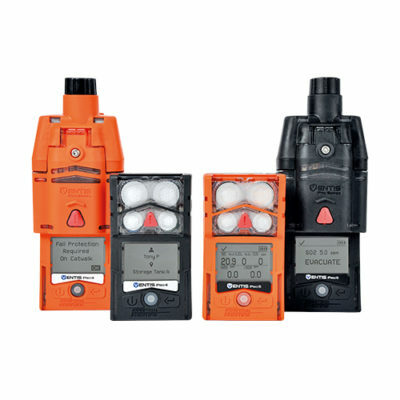 A complete selection of portable gas detectors to ensure workers safety. The Biogas 5000 analyzer has been designed to measure hazardous concentrations of methane (CH4) and carbon dioxide (CO2) with a measuring range of 0 to 100% for both sensors. 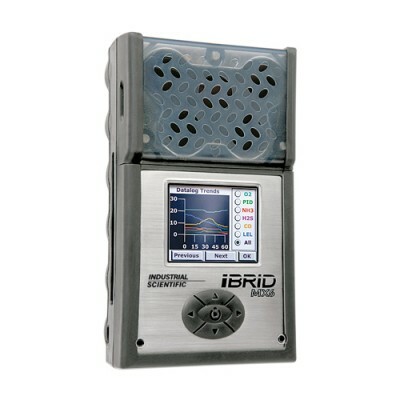 This portable detectors uses dual beam infrared technology for these gases. An optional electrochemical sensor for H2S (hydrogen sulphide) can also be added with a measuring range of 0 to 500 ppm or 0 to 10,000 ppm. Particularly well suited for anaerobic digesters measurements, the Biogas 5000 analyzer can also be used in methanization process or waste and water treatment with a CO2 and CH4 measurement accuracy of +/- 0,5% after calibration. This device can be applied to monitor biogas produced by the food industry wastes or farm facilities too. Each sensor has its own response time which can vary from 10 to 30 seconds depending on the gas in presence. 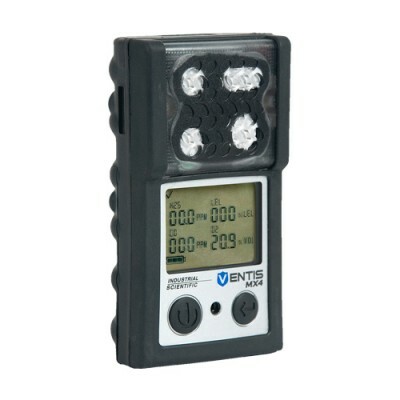 With its large TFT colored display and its intuitive multilingual menu, this handheld detector is very easy to use and to calibrate according to the selected application. Thanks to its rugged and reliable design made of ABD/polypropylene with rubber overmold, this gas analyzer is IP65 certified against dust and splash. Once fully charged (after around 3 hours), the metal nickel hybrid battery of the Biogas 5000 provides a protection during a whole typical working day (usually up to 8 hours). Its integrated datalogger can store concentrations and record measured data. This unit enables user to continuously and reliably download thereafter data for improved analysis and precise reporting. The integrated pump ensure a gas flow of 550 ml/min. Its visual and audible alarm are selectable by the user and alert in case of abnormal concentrations of the target gases. The Biogas 5000 portable analyzer is provided ready for use with rigid carrying case, calibration certificate, sampling hose, humidity filter and battery charger.